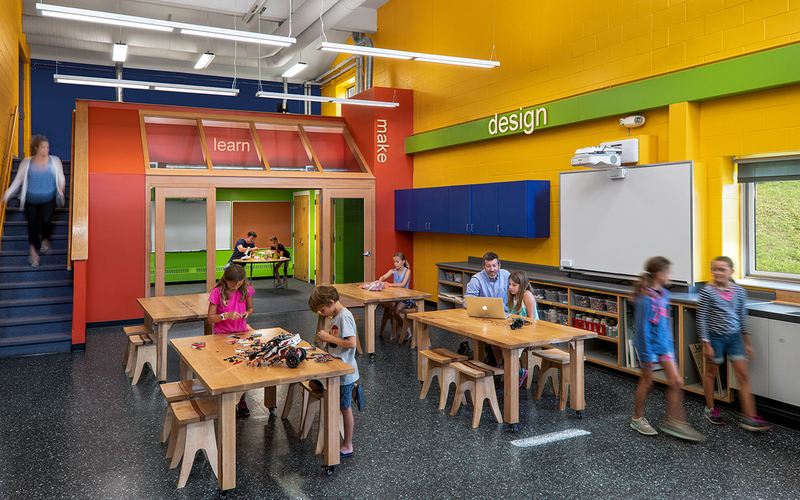 The Fayston Maker Space combines art, music and maker space functions into a single multipurpose space. To achieve this combination, the underside of the existing mezzanine was enclosed to create a clean, quiet space for music instruction and computer-based research and design. The larger space was outfitted with additional counter space, storage and smart board. A local woodworker provided custom tables and stools on wheels for easy reconfiguration. Bright colors were used throughout to enliven the space.